Putin wants Russians to live 4 years more. Russia’s leader hopes that by 2025 average life expectancy will reach 76 years. To achieve this target, authorities must combat not only alcoholism and drug addiction, but also reduce the number of road accident deaths. Today, Russia has all the potential to increase average life expectancy to 76 years by 2025, said Russian President Vladimir Putin on March 21 during a session of the Council of Strategic Development and Priority Projects. In 2016, life expectancy in Russia was 72 years, increasing 6.5 years since 2005. While this positive trend is good news, Russia is still far behind the West European average of 81 years. Iceland and Switzerland have the best results, both with an average life expectancy of 83 years. The East European average is 73, with Moldova as the only European nation to perform worse than Russia, with an average life expectancy of 71 years. On average, Russian men live 10 years less than women and their life expectancy is 66.6 years, while for women it’s 77 years, reported Russian Health Minister Veronica Skvortsova. In recent years, however, there has been success in efforts to drive down youth and maternal death rates. Yet, a rise in the mortality rate of working-age people is cause for concern, and the president urged specialists to pay extra attention to this segment of the population. Low life expectancy in Russia is related to the extremely high mortality rate of people in the 25 to 45-year old bracket, said Larisa Popovich, director of the HSE Institute of Health Economics. "In this group, 52 percent of the causes of death are related to accidents or poisoning, which means that this is either alcohol or drug-related, psychological illness or road accidents. This is what we must tackle in order to increase Russia's life expectancy not only to 75 years, but also to 80 years," said the expert. When asked which factors it intends to tackle in order to improve the mortality rate, the Russian Health Ministry replied that the main causes of death in Russia are non-communicable diseases that result from the use of tobacco, alcohol abuse, poor diet and scant physical activity. Men are more likely to suffer these than women. The director of the Center for Strategic Development, Alexei Kudrin, suggested focusing more on a healthy lifestyle. "Russia needs a strategy for healthy and active longevity, and this is particularly important given the demographic trends. In the next 15 years the young generation from 20 to 39 years of age will decline by 10 million people, while the number of elderly people will increase by 3 million," said Kudrin. As a result, the economy will have to orient itself towards the older working population. Kudrin believes it’s necessary to allot more financing toward fostering healthy lifestyles. Russia needs to spend less energy and resources on developing professional sports, and instead must do more to promote a mass culture of physical exercise, including dancing, asserted Lyubov Yakubovskaya, an expert in the field of social projects. She cites Buenos Aires as an example where old people "not only live until 80 and older, but dance until their final days." The goal of reaching a 76-year average life expectancy is attainable, said Guzel Ulumbekova, director of the Higher School of Organization and Health Management. But the result will depend on prevention, the promotion of a healthy lifestyle, and on events organized within the health system. This will require more financing - approximately one and a half times more - to reach the level of West Europe’s life expectancy. Ulumbekova added that there are three priorities: men's health, children's health and the availability of primary health care, especially in rural regions. Investments in a healthy lifestyle can significantly improve the nation's overall health and productivity, said Kudrin, who also proposed investing in scientific research in the pharmaceutical industry. 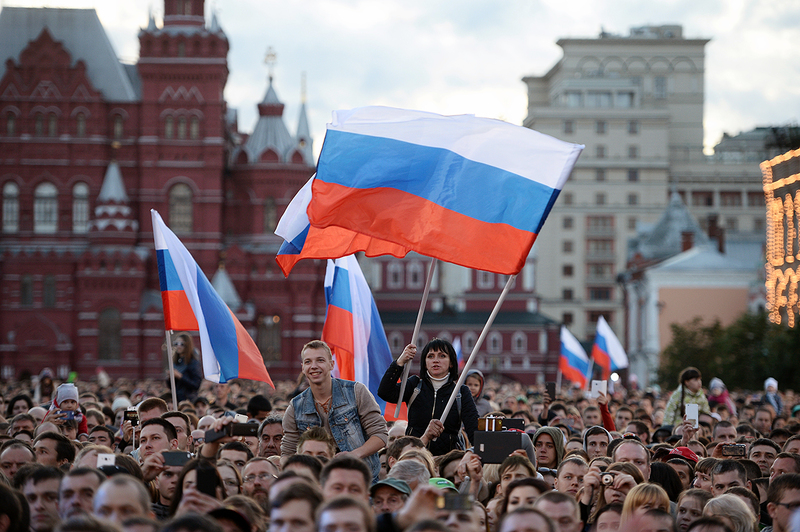 Read more: Why were so many Russians once communists?